Ronda, when you first see it, you think, how did that city get there, who would have ever thought to plop a town atop a plateau that can only be reached by a long narrow road up to it? The Moors originally settled here way back when, but were eventually overthrown by the Spaniards, who expanded the town by building a bridge to connect the two very close together mesas. 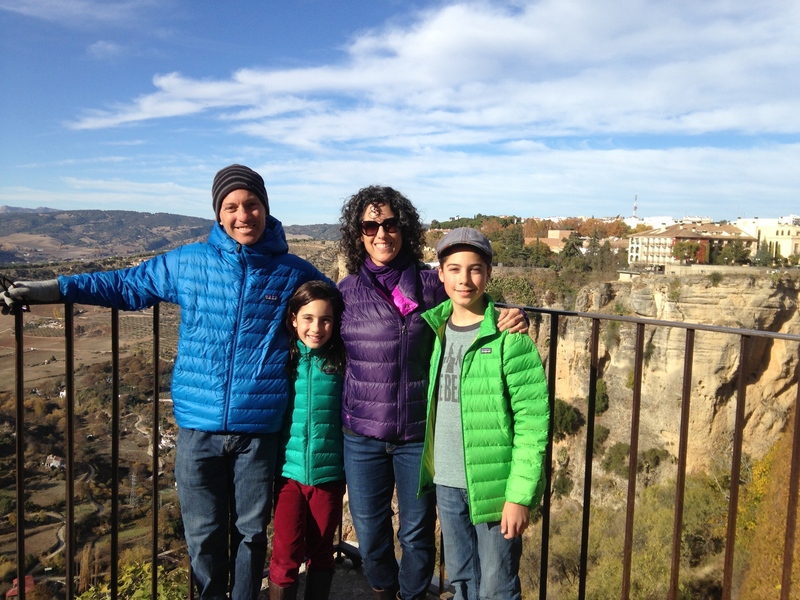 We had a blast walking around the town, gazing at the gorge and valley below, and hiking into the gorge itself. Our miserably freezing apartment was located right in the heart of the town with the bull ring on the right, and the extremely long commercial walkway on the left. 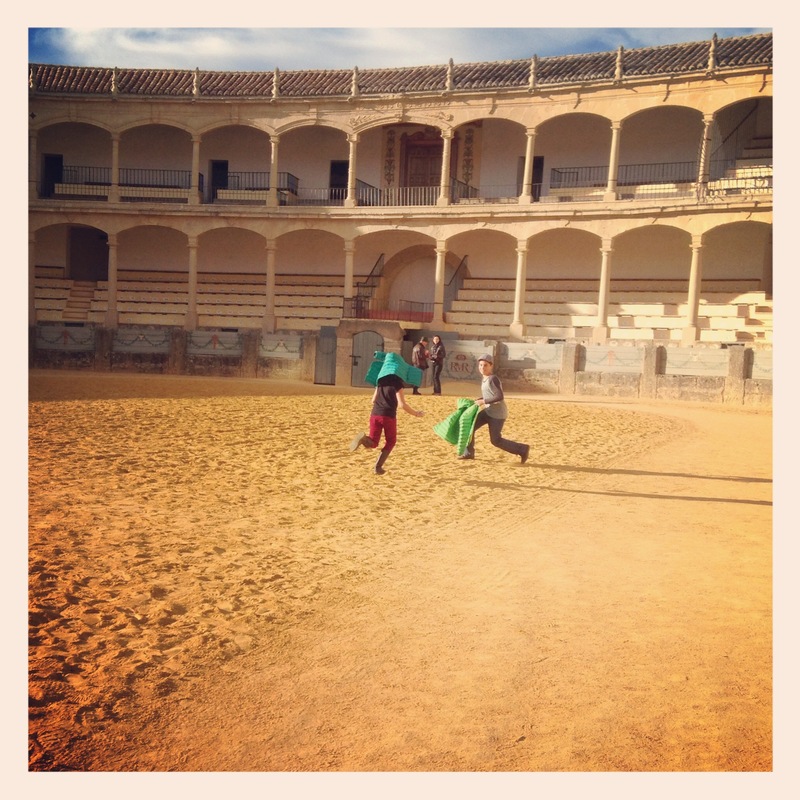 We didn’t end up going to an actual bullfight, (even youtube videos were enough for my mom) but did visit the museum. The pedestrian walkway is perfect for anybody who lives off of beer, cigarettes, and designer clothes, but we had fun poking around anyways.Though the town had a charming feel to it, our apartment didn’t. 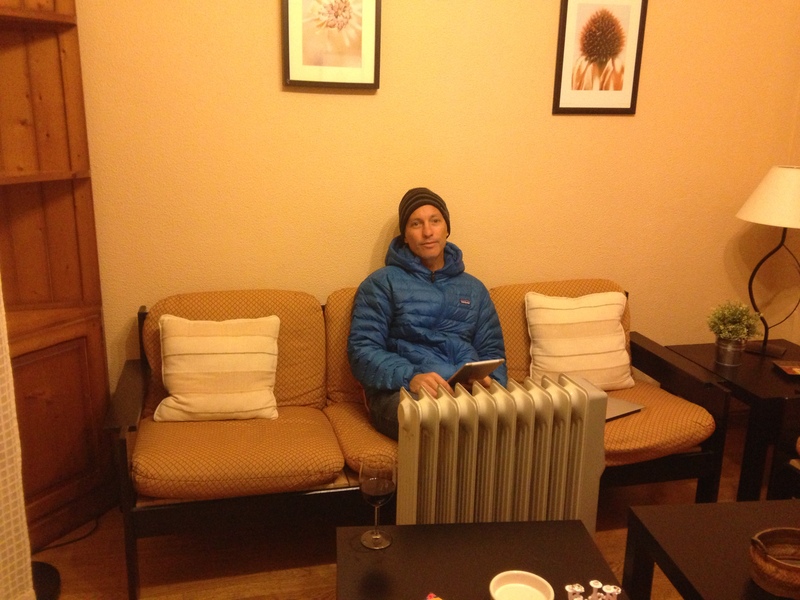 The non-insulated building was equipped only with multiple radiators and some drafty windows. On the nights that we ate home, we ended up hugging our lentil soup, while crowding around two of the space heaters with ski hats and down jackets on. Not only that, we had some trouble with the fuse; it kept on blowing out. This caused us to have to turn off the radiators whenever my mom was cooking. It was a very cold two nights. On the second day, we decided to attempt to hike down to the bottom of the gorge, but we ended up finding something much more interesting than originally planned. An old abandoned flour mill, a house, and a water generator building, all operational up until 1917 when a huge rockslide destroyed the roofs and foundations of the houses. Apparently, the owners of the molíno (flour mill) didn’t really care because they moved out of that place and didn’t try to repair it at all. The government hasn’t done anything to preserve the over-one-hundred-year-old house because there is nothing fenced off or monitored there. 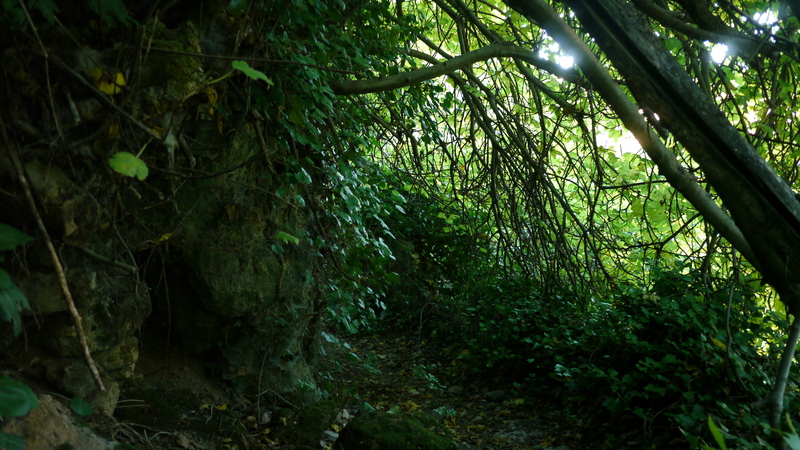 The trails are overgrown with huge vines that block out light and make the area seem like an Indiana Jones movie set. There are aqueducts going through the houses that are still in use, if not a bit overused (they’re overflowing a bit). The whole place seemed like it was not really part of one of the most touristy towns in Southern Europe. 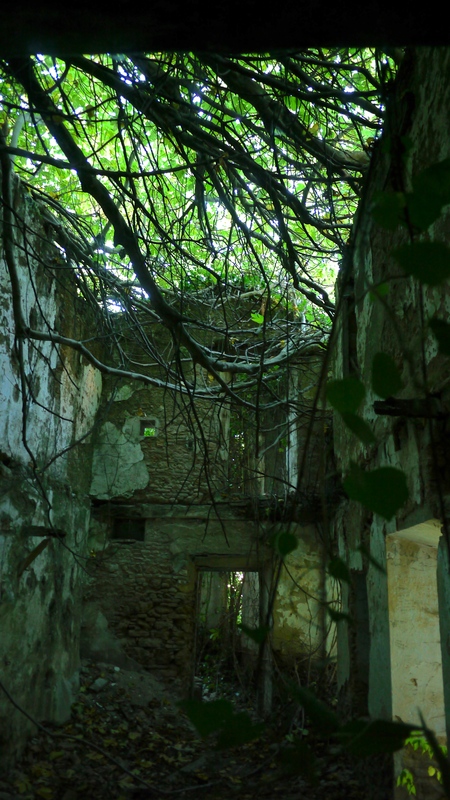 We followed the trail, poking our heads into caves and abandoned houses. Every once and a while, a little “Wow!” or “Man, this is so cool!” would pop out of one of our mouths, but most of the time the only sound was the rushing water and the crunching of leaves beneath our feet. Edie and I raced each other up the trail for winner-gets-a-euro-from-dad (I won by the way) and once we were all together at the top, we began raving about what we had seen. 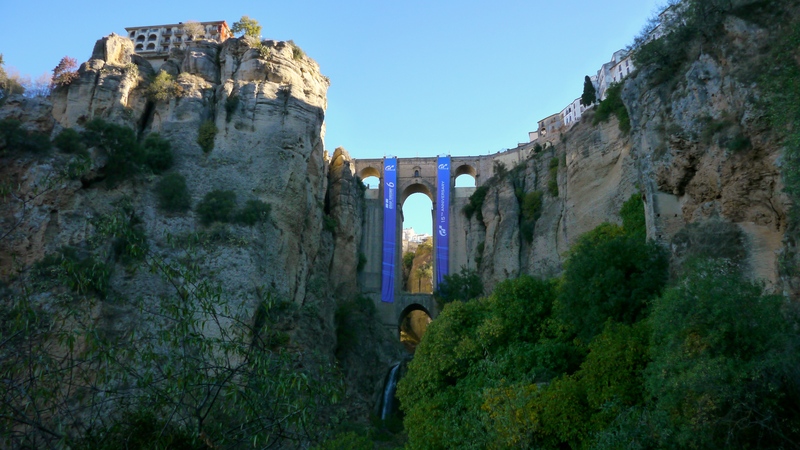 This entry was posted in Ronda, Spain, Uncategorized.